In the processor, reduce the watercress, garlic, walnut oil and lemon juice to a smooth puree, scraping the contours of the container as needed. Add roasted nuts, parmesan cheese and salt, then stir the unit for a few seconds to crush everything, but take care to keep some of the granular texture of the nuts in the mixture. Use watercress and nut pesto on pasta, toast or white fish, for example. Store in an airtight jar 2 weeks in the refrigerator or up to 6 months in the freezer. 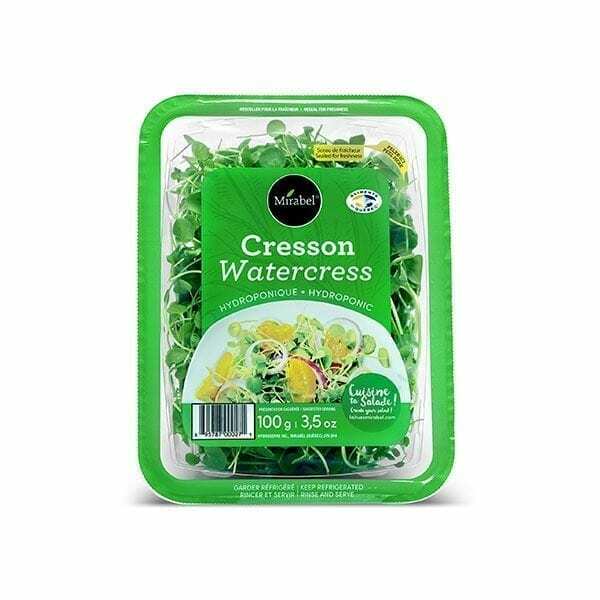 The watercress, young shoot with a peppery taste, is very good in salads and in sautés. Sold 6 units per case.